Join a diverse community of socially conscious, nature-loving change agents who are committed to practicing a safe and sustainable way to replenish, release, and grow in their inner well-being. 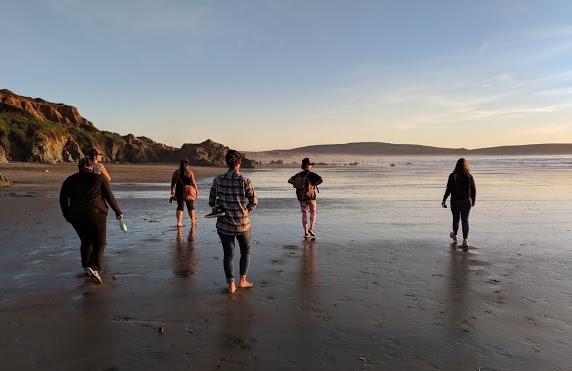 Whether you’re only looking to join healing hikes as a regular and intentional self care practice or seeking a deeper privately guided journey, a membership provides the opportunity to cultivate your best self as you make a difference in the world. Some of the benefits of becoming a member include access to healing hikes throughout the year, private outdoor coaching sessions, online trainings, and more! To see which membership package works for you, explore more below! Give yourself permission to listen directly to your heart, experience the messages nature has for you, and begin your practice of self awareness and healing regularly throughout the year. This membership gives you access to all four healing hikes throughout the year. Explore different locations in a small group setting. Be guided on a mostly silent, meditative walk to attend to your specific intention, and create that special space to release and replenish regularly as an act of sustainable self-love. enroll now and save on membership fees by clicking here! The Sustainable Self Love membership is a quarterly “Reset and Reflection Hike” only membership. This membership level does not include private coaching sessions, workshops, retreats, or other offerings from the company. Are you ready to commit to self love? Nature experiences promote a profound and transformative moment with guidance that allows you space to be seen and heard as your true self, no judgements or expectations. The dynamic programs of private coaching journeys are designed to create a safe and sacred container for an experience like no other. With a mixture of 1:1 private coaching sessions and small group in -person and virtual workshops, you are fully supported throughout. Alignment with our planet’s natural systems provide a fiercely loving and grounded accountability process. Memberships can start at a four month commitment and last as long as 18 months. Still curious about committing to coaching?